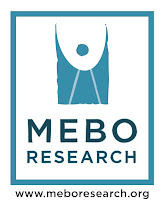 Introduction: As most in this community already know, I am not a scientist or medical doctor, but rather the Founder and Executive Director of MEBO Research, which I developed in hopes of discovering the many causes of body odor and halitosis and its cure. After four years of researching through the many professional journals, medical and scientific books, video presentations by experts for MEBO, and many discussions and interviews with experts, I believe that I have a very basic understanding of the effects of metabolism on these conditions. Perhaps because I am a layperson, I may be able to put a brief explanation into laymen’s terms in this post. I will link the thoughts I present here to professional sources, and I do invite readers to follow through and read these links. As a community, we tend to initially associate metabolic body and breath odor with the possibility of having TMAU, even though the vast majority of sufferers test negative for TMAU. When TMAU has been ruled out, many just assume that consequently, there has to be another non-metabolic cause, and totally discard metabolism as a possible culprit. There very well may be other non-metabolic causes, but we should not completely discard all metabolic processes without first researching to develop tests that would identify whether the metabolic pathway that corresponds with the odorous chemicals our body is emitting is working to par or not. In order to identify the metabolic pathway that corresponds with the most common odorous chemical found in sufferers, we need to categorize and document the various odorous chemicals detected, study the metabolic pathways that produce the notable volatile(s) to define its metabolic origins (precursor), and thus, determine the possible types of body odor condition(s) indicated. This is precisely the one-year long Alveolar Breath Exploratory Research Study that MEBO launched in April 2012 with Menssana Research Inc. Unfortunately, until we receive a grant, this study has to be sufferer-funded by donations and/or participant volunteers paying for their own test in the study. As humans, we have thousands of chemical reactions (metabolic pathways) taking place in our bodies at any given point in time, and the metabolic process that results in TMAU is only a minuscule fraction of all the thousands of others pathways. See excerpts below taken from a powerpoint, Microbial Metabolism, by Pearson Education, Inc. publishing as Benjamin Cummings (2004). 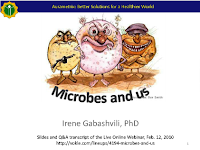 In addition to humans having ongoing metabolic processes, so do all other living things, including all micro-organisms (bacteria, viruses, yeast, etc.) found inside and outside of our bodies. Hence, the theory arises that TMA is produced in the gut by bacteria that take choline as its metabolic precursor and metabolizes it into TMA. If the enzyme is working properly, it adds an oxygen molecule in the metabolic process to convert TMA into trimethyl N-oxide (TMAO). The theory behind Secondary TMAU (TMAU2), for example, is that if there is an overgrowth of this yet to be identified bacteria in the gut, it is producing an excess of odorous chemical, trimethylamine (TMA) that passes into the bloodstream. This is what is termed in the UK as Secondary TMAU, which basically means that the sufferer has a perfectly functional metabolic enzyme to properly oxidize TMA –> TMAO, but the TMA-producing bacteria in the gut It is interesting that the sufferers of halitosis who took the Alveolar Breath Test showed that the top VOCs of the 200 measured were sulfur based.that produces TMA is overgrown and consequently produces an overabundance of TMA from choline, and the normal overloaded metabolic enzyme cannot metabolize it into its non-odorous state, trimethylamine N-oxide (TMAO). This is what the MEBO TMAU Test Program is also going to be looking for in the TMAU Test – both for Primary (genetic metabolic deficiency, TMAU1) and Secondary (environmentally acquired, TMAU2). Secondary TMAU is a very broad term, but essentially relates to any TMAU where normal TMA oxidation appears to be indicated. Increased TMA and TMAO are usually markers for TMAU2, however we have seen TMAU1 patients (with proven FMO3 enzyme deficiency by DNA mutation analysis) whose samples also showed this pattern – albeit only temporarily. This makes the differentiation between TMAU1 and TMAU2 difficult without more than one sample to assess and without DNA analysis to confirm a mutation for the FMO3 gene. It is interesting that the sufferers of halitosis who took the Alveolar Breath Test showed that the top VOCs of the 200 measured were sulfur based. The question now is, could the cause be due to the sufferer having a metabolic pathway deficiency, other than the one involved in TMA oxidation? Or could it be the result of a microbial metabolism, possibly causing intestinal disorders such as IBS-C, IBS-D, IBD, Crohn’s disease, as well conditions that may be linked to microbiota, such as halitosis, hyperhidrosis, multiple chemical sensitivities, food intolerances (IBS, Celiac, TMAU, CFS), and more, as discussed by MEBO’s Scientific Advisor, Dr. Irene Gabashvili in her powerpoint, Microbes and Us. Furthermore, perhaps even something else could be the source of some conditions. The theory of the gut flora’s involvement in body and breath odor has yet to be seriously studied, since the microorganisms have yet to be isolated and identified! Nonetheless, the theory behind Secondary TMAU seems to be supported with positive results (decreased symptoms, though frequently temporary relief only) with a course of certain types of antibiotics and some diet/protocol that preclude microbial and/or human metabolic precursors, as noted in the GeneReview article on Trimethylaminuria, written by one of MEBO's Scientific Advisor, Dr. Elizabeth Shephard and Dr. Ian Phillips. 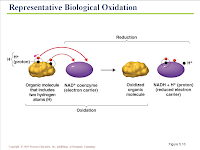 Dr. Shephard has also done a powerpoint presentation for the MEBO Research Annual Meetup (2011) in Washington DC on the genetics of the FMO3 enzyme, responsible for the metabolism of TMA and other chemicals in the body. Metabolism is the sum of all chemical reactions carried out by an organism. It is complex consisting of thousands of chemical reactions. Breaking complex molecules into simpler ones. A series of reactions is called a pathway. Catabolic pathways lead to the production of precursor metabolites for anabolism. Synthesize complex molecules from simple ones. Enzymes catalyze a reaction by lowering the activation energy. Activation energy is the amount of energy needed to trigger or start a reaction. The activity of an enzyme depends on the closeness of fit between the active site of an enzyme and the substrate. 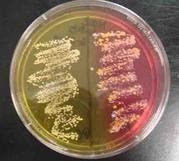 Enzyme- substrate specificity is critical to its activity. Pearson Education, Inc. publishing as Benjamin Cummings (2004).